We are specialist in curtain making for the last 12 years. We are UK fabric supplier that specialises in designer fabrics; our range is so extensive that we are able to offer a design and price to suit all pockets. 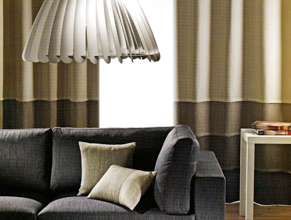 You now have access to the best selection of accessories and curtain textiles in the UK. As a leading supplier of curtain textiles in the UK, we have the knowledge and discernment to help you choose the best fabric for your curtains. Available in many fashionable and unique designs curtain fabric will be perfect for any style of window dressing.